When you find damp, a whole host of questions may pop into your mind. How much is this going to cost to fix? How long will it take? Rest easy in the knowledge that any reputable damp proofing company, such as the team here, will be able to provide the answers to all your questions and more. The goal is always to return your home back to it’s original glory and the look that you spent ages creating. But what do you do when damp and the remedies cause damage to your room? We’re giving you our top tips for decorating after damp proofing. In some cases, you will be advised to wait anywhere from 10 months to 12 months before wallpapering. This is to make sure that no further damp issues arise and ruin your walls. Imagine spending money on a wallpaper you love just to have the same thing happen again. So, hold off on the wallpapering for a little while. However, there is normally no issue using a water-permeable emulsion paint once the visible signs of damp have disappeared. This time scale will vary but usually falls somewhere within the 1-2 months frame. So you won’t have to sit in a plain and barren room for very long and can start rebuilding your home. Many techniques used to eliminate damp in a home use specialist salts. These can come through on a wall after the initial render dries. So prepare your walls properly and wipe them down completely. Water based paints are always the best choice when it comes to decorating after damp proofing treatments. Try to avoid oil-based paints, vinyl silk paint and never use PVA as a primer. Your new walls are likely to not react well to these types and you could find yourself decorating over and over again. 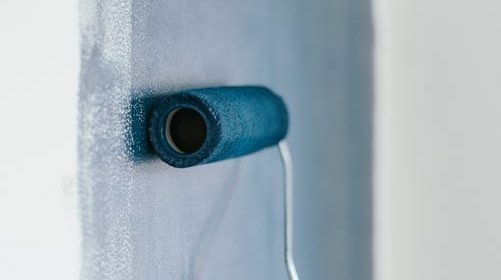 If you have any more questions about decorating after damp proofing, feel free to call the team here at Cotswold Treatments for professional advice.